Did you know that a small, purposeful workflow change can make your life significantly better? Yep, that change is having a mobile office, and there are 10 reasons why a mobile office can improve your design work and life. So what’s a mobile office? It’s what it sounds like – your design-work office on the go. All of your essential tools in a bag, ready to take with you. Whether on a commute, a flight to somewhere far, sitting outside and overlooking gorgeous nature, or simply popping into your local library or cafe, a mobile office is a trimmed down, simplified version of only the most important tools to get your design, web, and any other creative work done. Beginning your freelance career can be a scary time in your life, no matter how excited you are at taking the plunge. On one hand, you’re excited to know that you are going to be leaving your job and doing something you’re passionate about & on the other hand, you’re scared out of your mind because you’ve never done this before and you’re not sure where the money is going to come from to keep your family secure. Luckily, this article will outline 10 quick tips for first time freelancers, so you’ll be able to put a lot of your nervousness to rest. I hope you enjoy it and learn something from what I’ve written for you. Productivity and efficiency are all the rage these days – and for good reasons. As a freelance designer, my income greatly depends on my ability to produce quality work, and if I can do that even slightly faster than the other guy, I will not only have happy clients, but returning customers. There are a plethora of tools out on the Internet today that help designers and developers alike. Many times however, we believe they fall short because “we can handle it ourselves” without the extra cost of such tools. Conversely, we find ourselves spending quite a bit of time trying to complete such tasks which respective tools would reduce the time spent by a fraction. With this being said, within this article we get our hands dirty and discuss several reasons as to why freelance designers should use invoicing tools. As professionals in an ever-evolving industry, we always find ourselves searching for new techniques and ways that can help us improve our day-to-day lifestyle ranging from the way we find new clientele to the way we work. This is why we’re going to cover several techniques that’ll help you improve your design lifestyle. Let’s get started! Are you not your true self? Most designers aren’t. After all, it’s not that easy! We create designs we’re not 100% into or best at. Instead, we withhold our unique design contribution to the world. What we do is simply good enough designs. Good—maybe even great—but not uniquely and insanely amazing. Do you want to be one of the countless me-too designers, or do you want to add your unique and remarkable contribution to the design world? If you answered yes to the first one, you can stop reading the rest of this article. It’s not for you. That’s okay – some people enjoy the activity of designing and don’t mind stopping at simply paying the bills with it. That’s perfectly fine. As a designer, should you be versatile or stick to a particular style? That’s the age-old debate (well, it’s not that old, but a long-lasting one nonetheless). Being extremely versatile vs. sticking to one style: each has its pros and cons. On the one hand, by being versatile, you can adapt to and attract more clients – but you’re not developing your unique style and design “voice” as much. On the other hand, by sticking to one style, you dig beyond the surface and become a unique expert in that niche – but you’re alienating otherwise-good clients who don’t want that specific style done for their work. 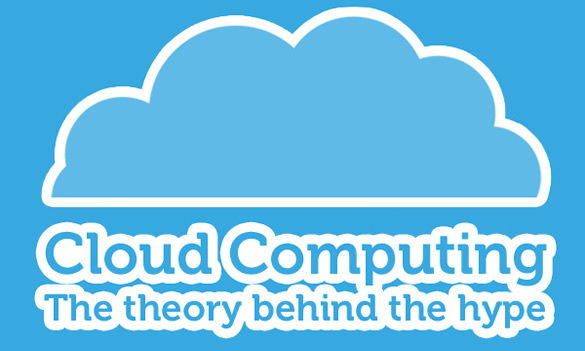 “Cloud Computing”, it almost rolls off the tongue doesn’t it? If you believe the hype, cloud computing is cheaper, safer and easier than any other form of application hosting, it exists in the magical land of ‘cloud‘ where nothing ever goes wrong, in fact, to say it’s reliable is almost an understatement. However the truth, can often be far different from that which many of the ‘cloud computing‘ or ‘cloud hosting‘ providers would have us believe. The cloud is a complex, multifaceted beast, with varying levels of complexity and specialty, not to mention radically varying prices. All told we would do well to consider just what makes up this ‘cloud‘, when it really is a great solution, and just where we may just be falling for the hype.